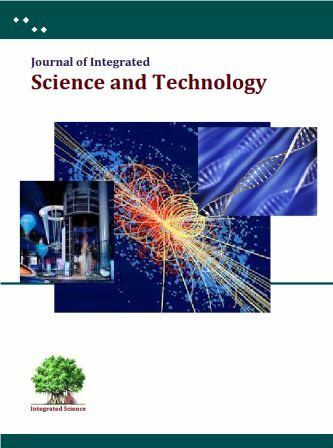 International Archives of Science and Technology (iast) is an International Journal of Thesis and Dissertations in Science and Technology dedicated to publication of research thesis, dissertations (B.Sc., M.Sc., M.Tech., M.Phil. 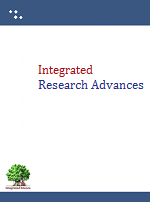 and Ph.D.) and research project reports from all disciplines of Science, Technology and Engineering. The articles published are like the ‘review of your thesis’ (or say a little elaborated summary of your thesis, including important figures, graphs, tables and data) and so it is not going to affect other publications from your thesis. Only summary/review of thesis is published (not the full thesis). 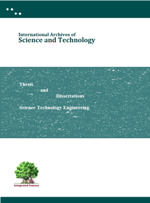 The Journal ‘International Archives of Science and Technology’ publishes reviews of theses and dissertations. History It started in year 2001 by collecting abstracts of scholars’ work from theses, dissertations and other literary works, and publishing news irregularly. Now it has started bringing the contents online and strive to publish the work of all science and technology related theses, dissertations and other literary. Scholars are encouraged to submit review of their thesis work to journal to get a cite-able journal article. The thesis and dissertations are immediate research work. The global scientific community should be made aware of outcomes embedded in the theses and dissertations. There are a large number of thesis and dissertations whose results and outcomes rarely comes to the knowledge of scientific community (reasons could be many like.. un-publishing of work, low circulation, limited to university/institute, publications not covering all contents or studies from thesis, unpublished portions). So it is on urgent need to bring out the work (included in thesis and dissertations) in the form of review article so that scientific community can know the important studies, results and conclusion of these works. This journal is to serve a platform for the publication of thesis and dissertations reviews as cite-able articles. We invite all the Ph.D.’s (no matter when they did their Ph.D.) to submit the reviews of their own thesis (easy to compile manuscripts as you already have Summary of thesis… just elaborate and add important figures, tables and results to give complete overview of your work). Manuscripts from any and all fields of science can be published like Agricultural Sciences, Animal Husbandry, Astronomy and Space, Ayurveda, Biology, Chemical Sciences. Earth Sciences, Engineering (all divisions), Environmental Sciences, Interdisciplinary, Mathematical Sciences, NanoScience, Nanotechnology, Biotechnology, General Science, Biomedical Sciences, Medical Sciences, Pharmaceutical Sciences, Physics, Plant Sciences, Biosciences, Psychology, And all other areas of science. Your published review of thesis as journal article will improve your academic profile. Undergraduate students and postgraduate students will be excited to get a publication (research paper) from their project works either as summer trainee, project assistant, or projects done as curriculum. download the template (as per the MS Word version that you have on your computer), double click the file to open and then prepare your article and save it with your own name. 2. The title of article may be same as the title of your thesis/dissertation. Q. 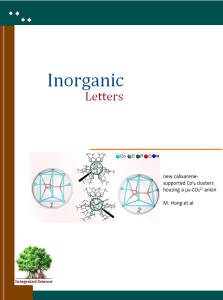 My thesis (or part of it) is already publish. Can I still publish review article from my thesis. Ans: It is review of your thesis/dissertation, so it is not going to affect your other publications (research articles). It is similar to any other review article, in this case it is your thesis matter. You might like to take reproduction permission for your already published figures/data that you want to include in your thesis review article as you will do when you write any other review article. Q. My thesis is very old. Is it worth to publish it now. Ans. The review article is meant to give a glimpse of your thesis/dissertation. By publishing review of your thesis (irrespective of when it was submitted/completed), you are going to inform young researcher (new Ph.D. scholars) that this much (or this sort) of work has been done in entitled thesis. This way you are helping the young researchers in choosing their thesis work and titles. Q. I already published my whole thesis on site (institute/university/other organization/library), can I still publish the article as well. Ans. The readers generally don’t like to read the lengthy thesis material, so providing a review of your thesis with inclusion of important figures and graphs will give a complete overview of your work (simple abstract is insufficient in that case). Further you can provide details about availability of complete thesis in your thesis review article. Q. How is it useful for my citations. Ans. 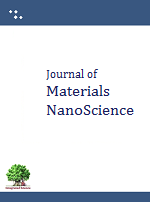 The review article is a cite-able journal article. The author will get a cite-able article. This way your thesis work can be cited in proper format (thus circulating the thesis work information to global scientific community). More questions: ask through contact us page.